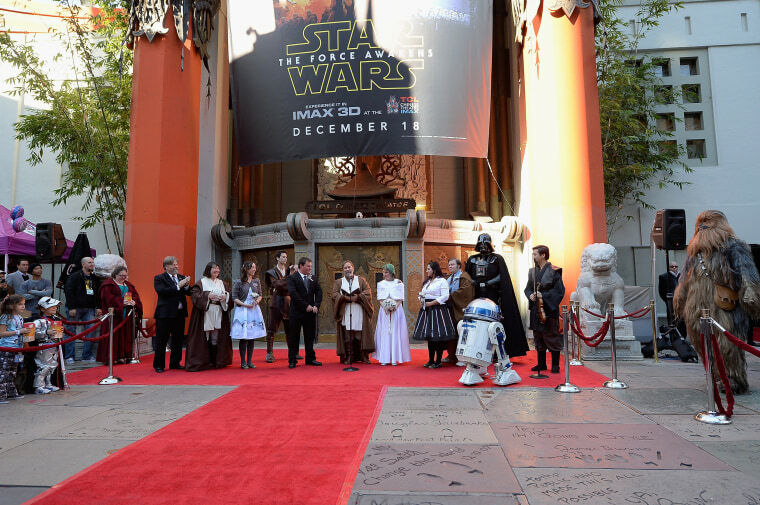 Fans Caroline Ritter and Andrew Porters of Australia got married in a "Star Wars"-themed wedding on Thursday in Hollywood, Calif.
"Star Wars" fans Caroline Ritter and Andrew Porters are married in the forecourt of the TCL Chinese Theatre on Dec. 17, 2015. 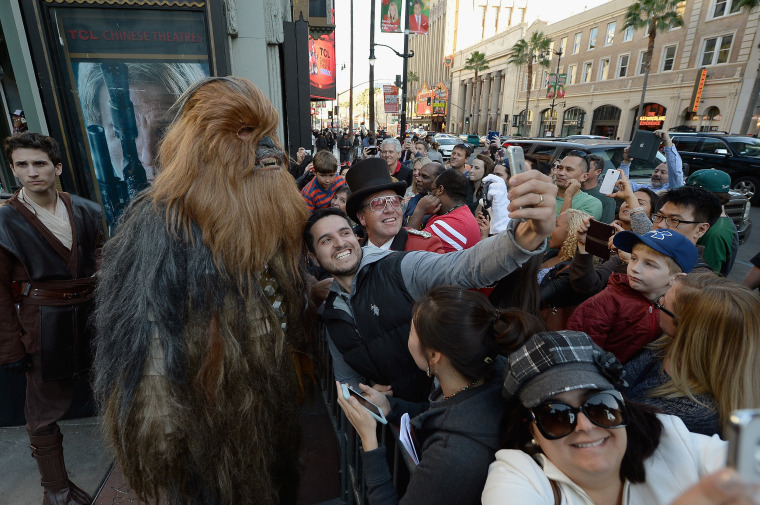 Ritter, 34, a truck driver, and firefighter Porters, 29, were among about 100 die-hard fans who camped outside the Theatre since Dec. 5 for the opening of the movie. 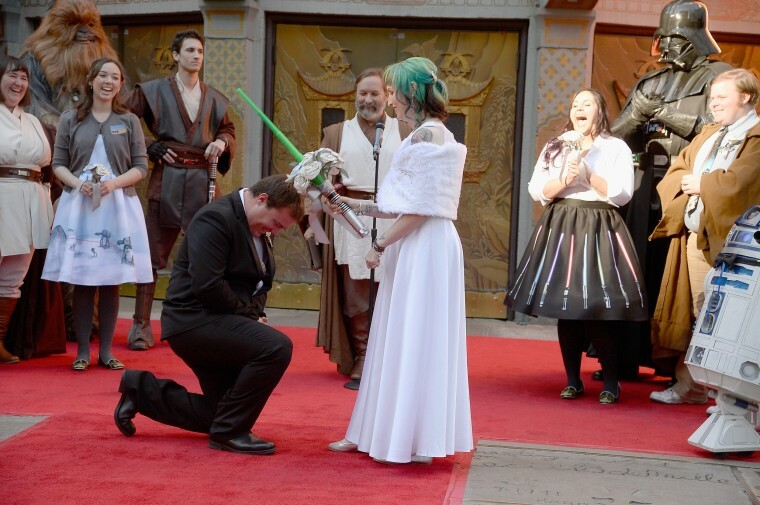 The bride is seen with a light saber inspired bouquet as the groom kneels. 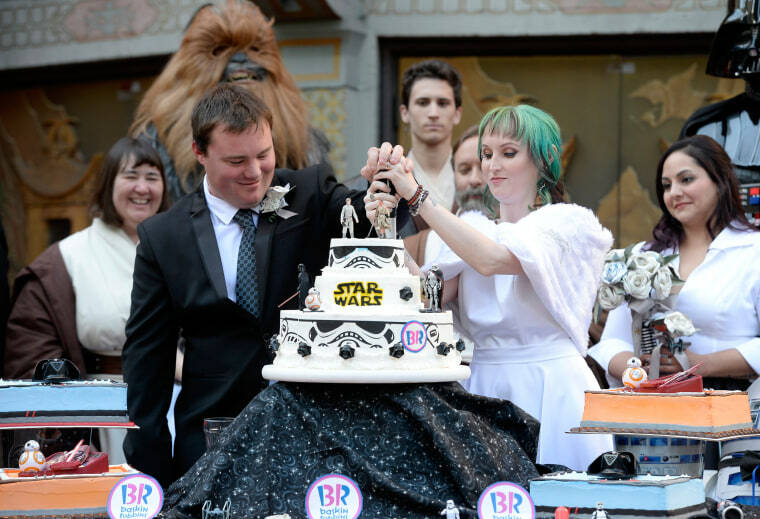 The couple cut their wedding cake. 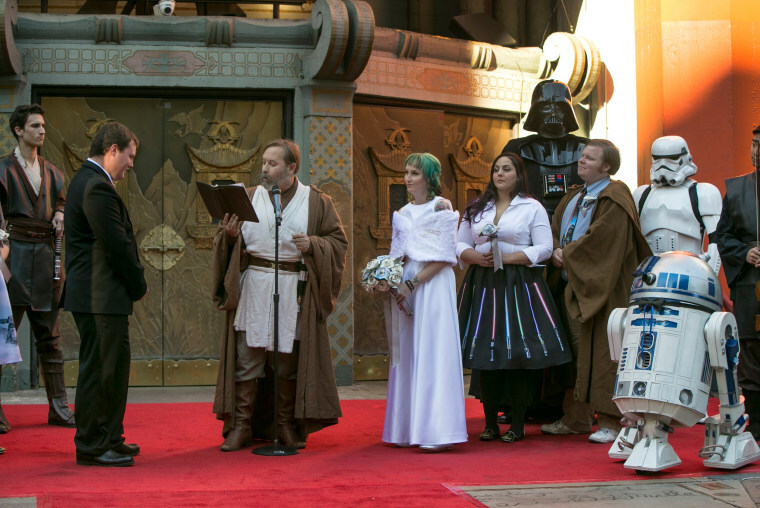 Porters and Ritter are married by officiator Obi-Shawn Crosby. 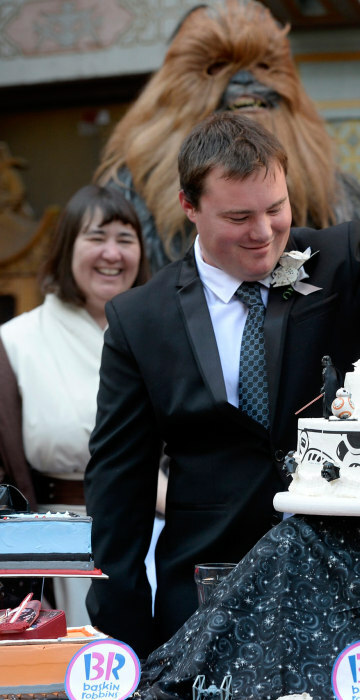 The couple stood alongside a wedding party of “Star Wars” characters, including Han Solo, Darth Vader, Chewbacca, a stormtrooper and R2-D2. 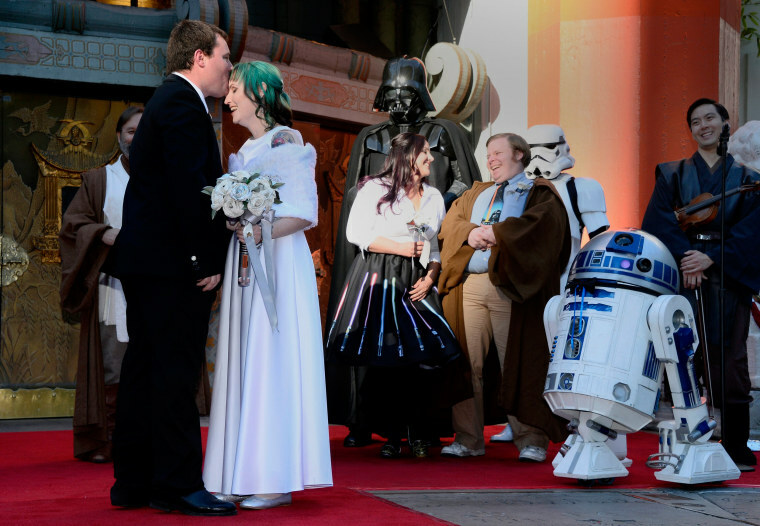 People dressed as "Star Wars" characters are seen after the wedding. 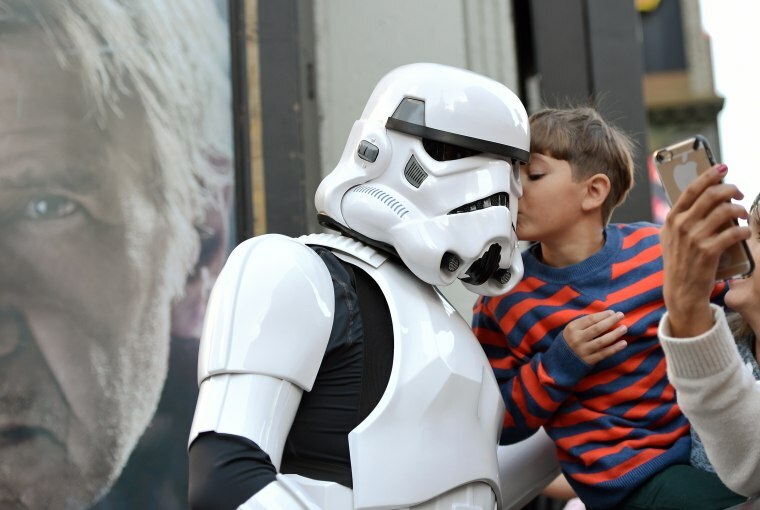 A young boy kisses a stormtrooper. 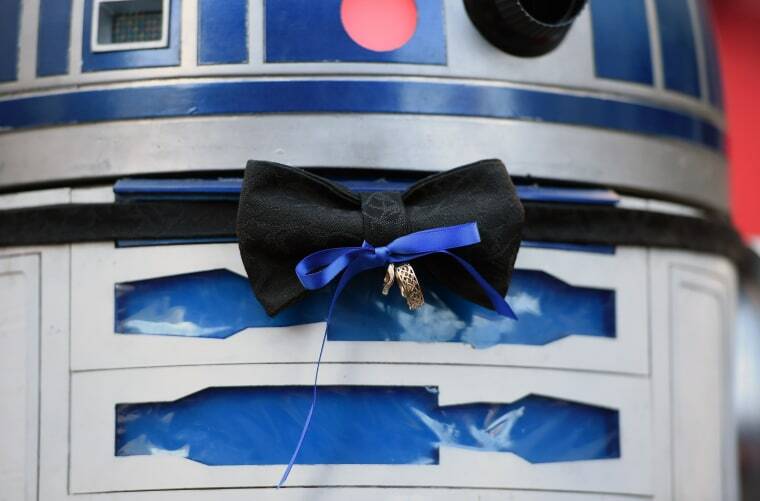 R2-D2 was the ring bearer at the wedding. The couple is seen after their wedding.